Hilariously funny, yet brutally real. Steven Colbert, host of Comedy Centrals "The Colbert Report," takes on Congress testifying, in brilliant satire, FOR the migrant farm workers. Check it out!! For trainees only: Please complete the following survey! Thanks! Mr., what did you do again? Which button did you click on? 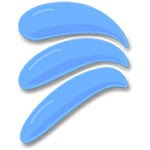 Where can I find the brush options? What did you drag on to? Let's face it. Teaching tech can be tough to differentiate when many of the tasks are just routine button clicking. If we slow down, our more tech savvy students get bored. If we go faster, well, we'll lose the others!! Wouldn't it be amazing if our instruction could be like a TiVO, where students can pause, play, and rewind our instructions at their own speed and leisure? Here's a great example from Peter Varley at Animo Inglewood. 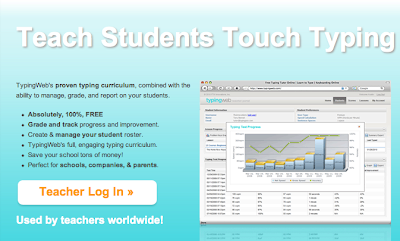 Great for teaching technology: Complicated keystrokes, tasks, etc. 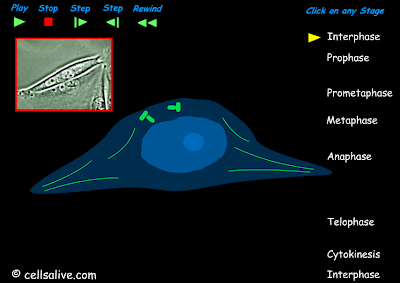 Students can follow tutorials at their own pace. 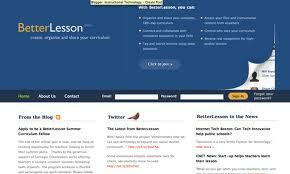 Students can review tutorials at home or anywhere there is an internet connection. Can be used during office hours or as a "make-up" class. Frees up teacher time to spend with struggling students as needed. So where can I get some Screen Casting software? Here's my favorite (PC Only). It's free and it's OPEN SOURCE! So download it, make a donation, and support Open Source software! Unfortunately, for the MAC, I've not found any great free screencast software. If you run into something, mac people, please comment below! :) For now, there's Copernicus. The only bummer is it doesn't record sound. 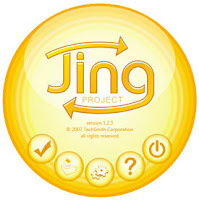 Then there's the JING project (PC and MAC) which is both client and web-based. You record videos using the client, upload them into the JING website for hosting, and use the options on JING to distribute your screencasts to your viewers. It's kind of cool! Yet, maybe too many features for some of us. 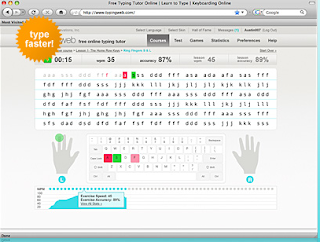 Move over Mavis Beacon, there's an easier way to teach typing without installing a new program onto your computers! Special Kudos to Amy Cox at Animo Pat Brown for this awesome web find. 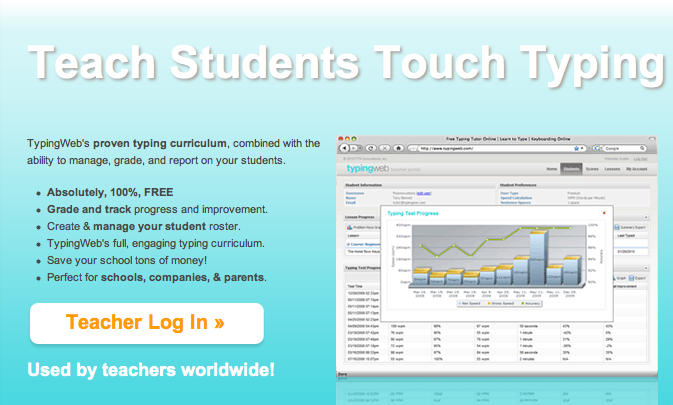 TypingWeb is a web-based typing tutor (yes, another web 2.0 solution) that provides a full, customized, typing curriculum for users for free! Typing Web also includes a special teacher portal that allows teachers to issue student logins, collect data, generate reports, and track student progress. The free version of the teacher portal has limited options and customizability, but it may be just enough for you and your students. The upgraded version, as usual has more bells and whistles, and costs a pretty penny. Try it out today!